Winner Will Be Announced on 16th December on Techno Bite Channel. 1. This Giveaway is open for everyone in India only. 2. Participants can send in as many entries as they wish but spamming and posting multiple entries with different names or entries done from same IP address will be marked invalid and will be removed from the final list. 3. If participant unsubscribe and unfollow after giveaway, participant will not be able to enter our future giveaways. 4. All winners will be notified by email and their names will be published on the contest page. 5. Prizes are not exchangeable, transferable or exchangeable for cash. All prizes must be claimed within Fifteen Days from the date of Winner declaration. 6. Participants are to abide by the rules and regulations stated by the organizers. 7. In case of dispute, the organizer’s decision is final and no correspondence will be entertained. 8. This Giveaway runs from 15th November 2016 to 15th December 2016. 9. The Winners will be announced on 16th December 2016 on the Giveaway page. Winners have to verify their email address before they can claim any prize. 10. We reserve the rights to amend the terms and conditions of or withdraw this giveaway if required by the authorities. 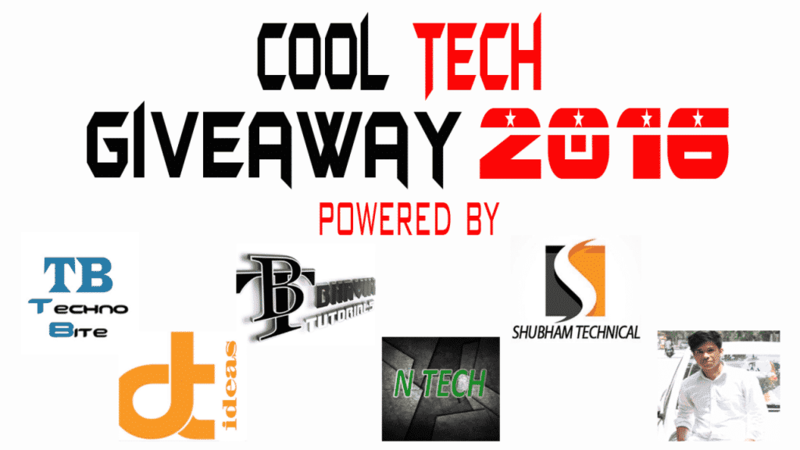 Giveaways cool tech giveaway, giveaways. permalink.